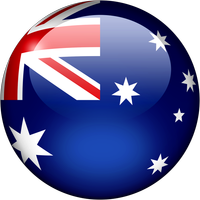 Distributor Information for Emgrid Australia Pty, Ltd. (Australia) :: Microscopes Intl. Emgrid Australia Pty Ltd can supply all your specimen preparation requirements for Electron Microscopy and Optical Microscopy applications. We have at our disposal an extensive range of specialist tweezers, small tools, diamond knives, embedding kits, grids, support films, filaments, apertures and calibration standards. Emgrid Australia Pty Ltd draws their inventory from carefully selected suppliers acknowledged for their quality products and ability to provide technical support and advice. Emgrid Australia sells the uScope family of whole slide scanners through the Electron Microscopy Sciences (EMS) Catalog. Restaurants near Emgrid Australia Pty, Ltd.
Home About Distributors Australia Emgrid Australia Pty, Ltd.